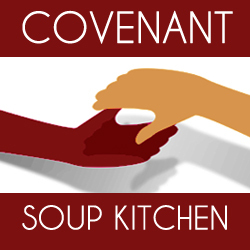 Did you know that the Covenant Soup Kitchen was approved by the State of Connecticut for the Neighborhood Assistance Act? The Neighborhood Assistance Act allows local businesses, or organizations to donate anywhere from $250.00 to $75,000.00 and receive a 60% tax credit on those dollars, 60% ! ! ! The Covenant Soup Kitchen is looking to expand its current programs with these donations by developing "The Greater Windham Gleaning Initiative" (GWGI). The GWGI mission would be to improve the access and availability of fresh locally grown fruits and vegetables, to low-income individuals in the Greater Windham Community of Connecticut. The Covenant Soup Kitchen will partner with local growers, farmers, and farmers markets by collecting leftover crops from farmers' fields after they have been commercially harvested or on fields where it is not economically profitable to harvest, or picking up produce that was not sold at market. The collected produce would then be allocated for use in our Kitchen, for use in the daily meals, distributed to guest through the Covenant Soup Kitchen's food pantry, and to other area non-profit agencies. Currently the Soup Kitchen has been working with one farm over the last four months and has been able to salvage over 2,500 pounds of produce. 2,500 pounds of fresh fruits and veggies filling hungry stomachs, but there is SO much more that can be done! In order to ensure the viability and sustainability of this ambitious undertaking, the Covenant Soup Kitchen requires the resources to expand the facilities to accommodate, store, and process large quantities of produce that would be collected during a glean. The planned expansion of the facility would include increased cold storage, warehouse space, and preparation and processing work areas. Other goals of this project would include the acquisition of commercial truck to transport donations under a newly assigned project coordinator. The Covenant Soup Kitchen believes that the Greater Windham Gleaning Initiative would become an integral part of our mission in addressing hunger and food insecurity in our community. This program will increase the availability of fresh produce to low income households, educate our guests on heathier diets and reduce the waste of a precious resource. 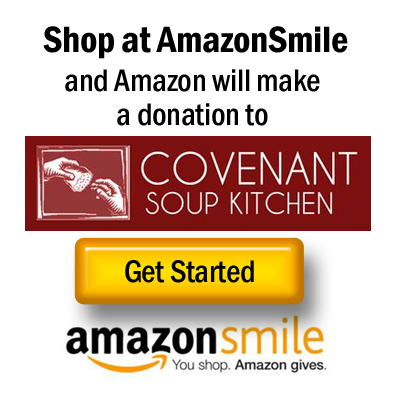 The Covenant Soup Kitchen thanks you greatly for your continued support in assisting our community. Thanks to our friends, supporters, and the almost 300 braves souls that took the icy plunge, we raised over $50,388 dollars! And you know what that means. . . after being doubled, so generously by the Jeffery P. Ossen Family Foundations, our community was able to give The Kitchen $100,388 dollars! Thank you again for your investment and commitment to The Covenant Soup Kitchen and our community. Thank you for knowing and believing that our guests deserve to get the nourishment they need to survive, with dignity and respect.